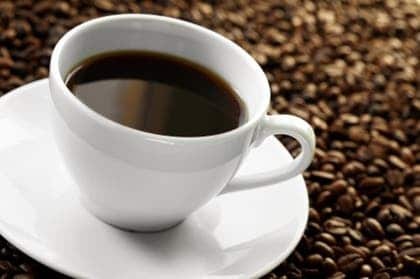 As part of a German-French research project, a team led by Dr. Christa E. Müller from the University of Bonn and Dr. David Blum from the University of Lille was able to demonstrate that coffee consumption works against Alzheimer’s disease. With coffee, it’s a “one step further two steps back” dance. Its benefits, when consumed occasionally include a huge amount of antioxidants, burning fats, stimulating the brain, a lower chance of diabetes, etc. The problem is that very few people drink coffee occasionally. Most coffee drinkers drink it every single day, and by now, it’s safe to say that it’s a form of addiction; and when you consume it in large quantities, the downsides clearly start to outweigh the benefits. Many cardiovascular problems, increased risk of osteoporosis and diabetes, stomach problems, stained teeth, grumpiness, lack of energy, the list could go on and on. Furthermore, it has to be said that most of the studies proclaiming the benefits of coffee are actually funded by coffee companies… which puts a big dent in their credibility (not saying that a study is wrong just because it is funded by a biased company, but you have to take it with an extra grain of salt). This study however was funded by non-profit Alzheimer Forschung Initiative e.V. and French Partner organization LECMA – also an Alzheimer related organization. What they showed was that coffee has a positive effect against tau deposits, the characteristic features of Alzheimer’s disease. Tau deposits are a type of protein which disrupts the communication of the nerve cells in the brain and contribute to their degeneration; it is not clear however that fighting tau deposits would counter all the effects of Alzheimer’s, but it’s a really good start. However, despite intensive research there is no drug available to date which can prevent this detrimental process. Based on this study, a new caffeine drug might be developed with success. They conducted their study on lab mice genetically altered to develop Alzheimer’s, which were split up in two groups – one which didn’t receive any treatment, and the other which received a caffeine-based treatment. The second group performed much better when it came to memory-related tasks, an amelioration of the pathogenic processes was demonstrated in the hippocampus, which is the site of memory in rodents – tau deposits were much less developed after the treatment was applied.